Brandon Vlaar learned the value of money at a young age. Both of his parents owned small businesses – his mother headed up a marketing firm, while his father ran a distribution company that sold farm supplies. Surrounded by their entrepreneurial drive as he grew up, he learned early on of the challenges facing small business owners — particularly when it comes to raising money — which led him to found Lending Loop. Canada’s first peer-to-peer lending platform, Lending Loop allows Canadians to invest as little as $25 in Canadian small businesses, providing them with an affordable way to support local entrepreneurs and help grow the economy, while earning a positive return. “People are not just investing in their communities and helping business owners, they are also helping themselves,” says Lending Loop co-founder Brandon Vlaar. At the same time, small business owners, who often face challenges gaining access to capital, can apply for loans of up to $500,000. Lending Loop uses a credit engine and accountancy software to analyze the company’s financial details, generating an interest rate and loan offer within 24 hours. Following in his parents’ footsteps, Vlaar started programming and creating his own ventures as a kid. He sold virtual currency before bitcoin even existed and was “botting” World of Warcraft characters to advertise on eBay at the age of 13, selling about 60 characters per week for around $200 each. These experiences led him to apply in 2010 to attend the Ivey Business School at Western University, where he met his Lending Loop co-founder, Cato Pastoll. The pair instantly clicked and began discussing ventures they could start out of university. They were both aware of the challenges small businesses faced in financing their companies and noticed how countries in Asia and Europe seemed to be leading the way when it came to solving these problems. “We thought: what if we could bring a hybrid of these models to Canada and establish a good base here, before scaling it out to other markets?” says Vlaar. After graduating, both Vlaar and Pastoll began working full-time jobs while developing Lending Loop on the side. From figuring out which markets to target to deciding which technology they were going to build, they spent long hours discussing different ideas as they tried to get the company off the ground. Once the first version of the product was complete, they raised some money from family and friends, quit their jobs and started working in living rooms, kitchens and basements, until finally getting their first office in 2014. From the fall 2015 to early 2016, Vlaar and Pastoll ran a beta program to prove the business would work and ended up processing $1 million in loans within four months. 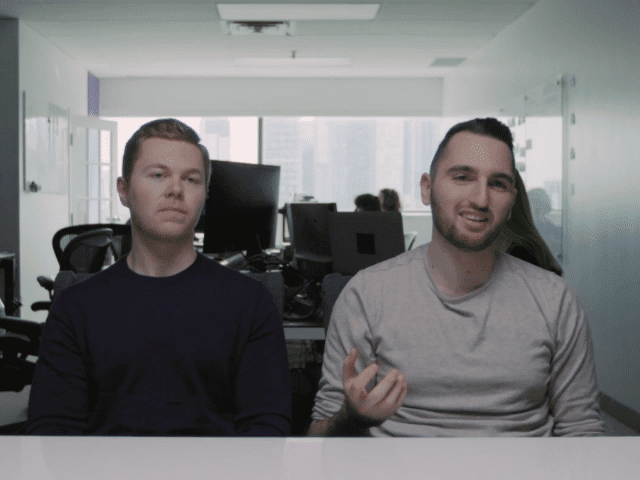 However, they faced their first major obstacle just a few months later: due to strict financial security regulations, Lending Loop was forced to pause in February 2016 while Vlaar and Pastoll worked with regulators and the Canadian government to make sure their product was legal and accessible. Once that work was complete, they relaunched in the fall of 2016. Lending Loop now has 8,000 investors signed up on the platform and they’ve given loans to more than 100 businesses. While Vlaar wants to compete with banks and hopes that Lending Loop will be the primary financing option for small business owners, he also believes that fintech companies can work with banks. For Vlaar, what gets him up in the morning is knowing that he’s building an important product. Learn more about Lending Loop in our latest video series, Net Worth, which explores the world of fintech by spotlighting a series of ventures from our ecosystem. 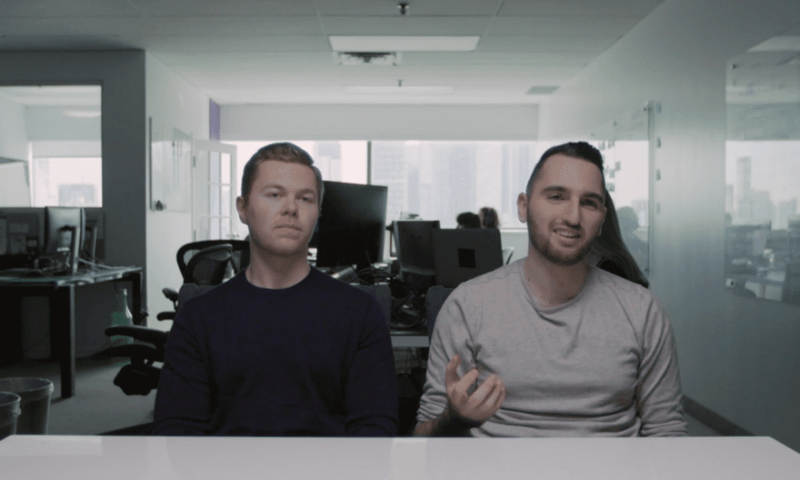 Produced by Vice, the debut episode, featuring Brandon Vlaar and Cato Pastoll, looks at what fintech is and how it’s helping millennials tackle debt.